Cowboy Tuff Chex Cowboy Tuff Chex is the widest horned bull in Texas Longhorn history. Although he is not owned by DCCI, he was an easy selection for an out cross AI sire for the Drag Iron, Over Kill and Clear Win females. Currently sons are being test bred including Reckon So, Cut'n Dried, Tuxedo, Drop Box and grand son Stop Already. 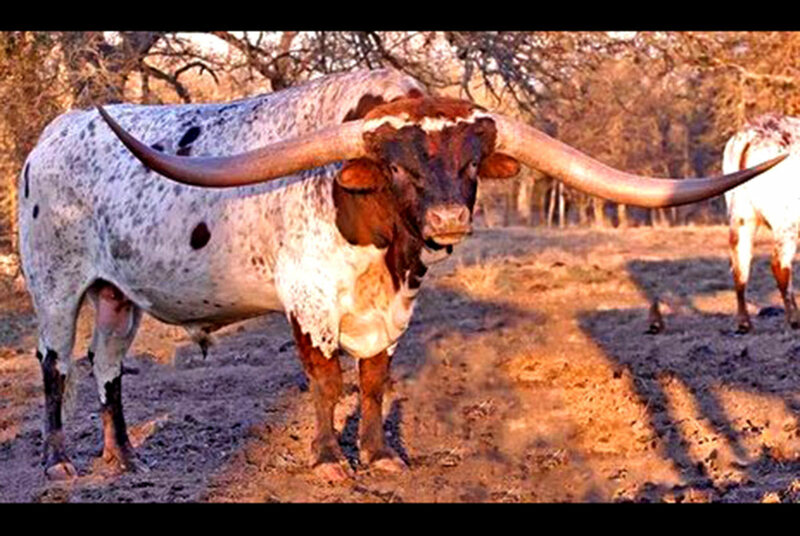 Anyone who loves wide horn and fails to acknowledge the possible contribution this bull may make should be raising barn cats.